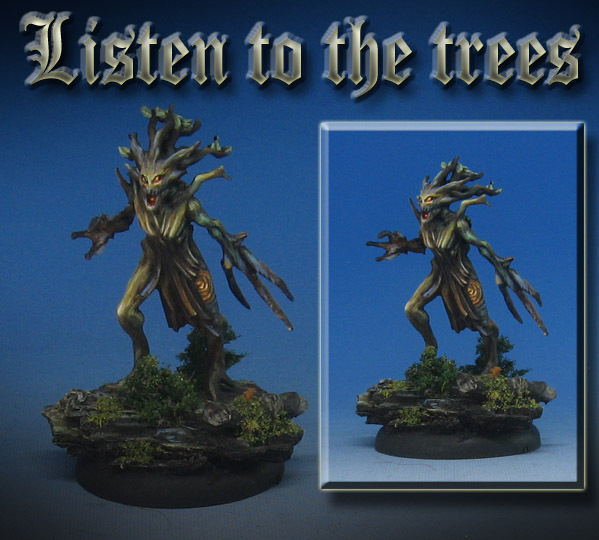 This is a sneak peek at a new set of tutorial videos that I will be doing on some older GW Dryads. It has been many years since I last painted one, and I thought I could roll the camera as I work on these! These new videos will be more of an "At the Workbench" setup, where I show you how I go about painting things for commissions. It is not very different from how I do everything else in terms of technique, but the mindset does change quite a bit. I will also be going a little more "Old School", where I have these brush primed with 1 color, as opposed to the "Primer Painting" you see more now. I wanted to show you a more classic Shaded Basecoat technique!